Are you ready for some political comedy? The sixth season of the Veep TV show premieres on HBO on Sunday, April 16, 2017, at 10:30pm ET/PT. Watch star Julia Louis-Dreyfus announce the Veep season six premiere, after the jump. 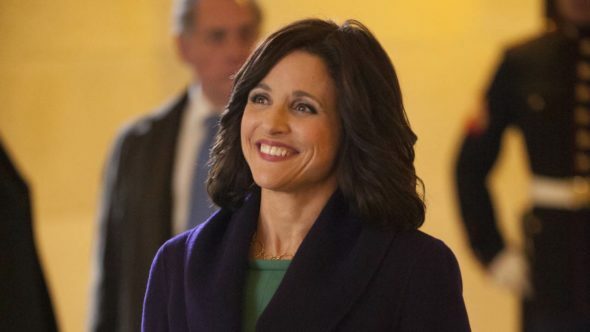 Louis-Dreyfus stars on Veep as former vice president and president Selina Meyer. The HBO series cast also includes Tony Hale, Anna Chlumsky, Reid Scott, Matt Walsh, Timothy Simons, Kevin Dunn, Gary Cole, and Sam Richardson. Dave Mandel, Frank Rich, Lew Morton, and Morgan Sackett executive produce with Louis-Dreyfus. What do you think? Are you a Veep TV show fan? Do you plan to watch the season six premiere on HBO?